Featuring a patio, this 1-bedroom apartment is air-conditioned and has a contemporary décor. The open-space living room with a seating room and a flat-screen TV. A dining area is also included. The bedrooms come with a wardrobe and bed linen. The fully equipped kitchenette includes a refrigerator and a microwave. The private bathroom comes with a shower and towels. A washing machine is provided. Located in the center of Almagro, in Ciudad Real, Almagro Loft is a modern self-catering apartment with designer furniture. It offers comfortable accommodation and free Wi-Fi in all areas. Featuring a patio, the 1-bedroom apartment is air-conditioned and has a contemporary décor. The open-space living room with a seating room and a flat-screen TV. A dining area is also included. The bedroom comes with a wardrobe and bed linen. The fully equipped kitchenette includes a refrigerator and a microwave. The private bathroom comes with a shower and towels. A washing machine is also available. 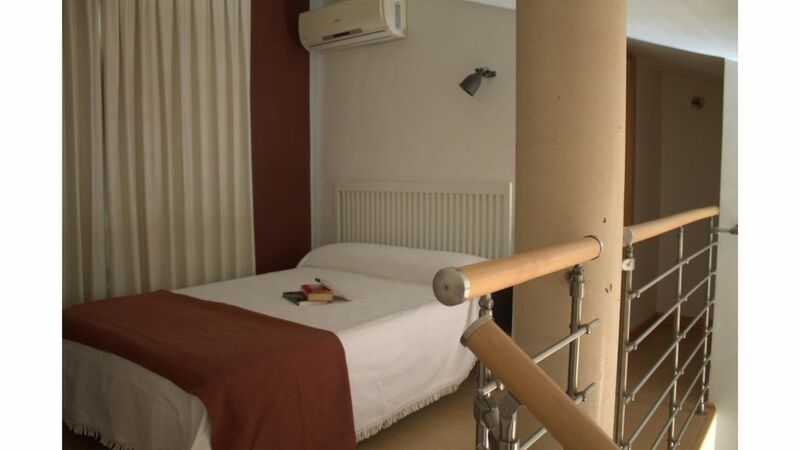 Loft Almagro is a short walk from the Plaza Mayor and the historic and commercial center of the city. Shops and restaurants are a few steps from the property. Ciudad Real is 25 km away, while Ciudad Real Airport is at a distance of 28 km. Free public parking is possible on site. Ito ang bahagi ng Almagro na paborito ng aming guests, ayon sa mga independent review. Ang accommodation na ito ay nasa isa sa mga best-rated na lokasyon sa Almagro! Gustung-gusto ito ng mga guest kumpara sa ibang kalapit na accommodation.